Car sharing company TOGO said today it has raised US$22 million in the latest round of financing with investors, including Susquehanna International Group and ZhenFund. TOGO will use the proceeds from the latest round of financing to accelerate market expansion, speed up business in first-tier cities as well as expand channels and services in second-tier and third-tier cities, the company said in a statement. It also hopes to drive into more cities in China and provide more shared car models to consumers. "We will further consolidate our position in the car-sharing industry and take advantage of more resources in order to promote industry development with Susquehanna International Group," TOGO said in the statement. TOGO also aims to provide intelligent, convenient and environmentally friendly car-sharing service together with Susquehanna International Group. 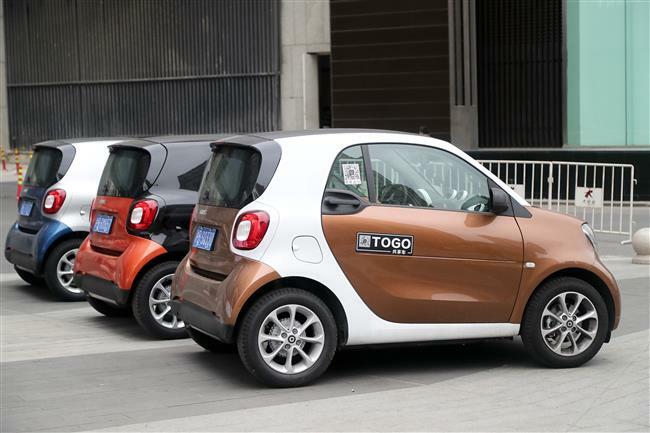 Beijing-based TOGO, founded in July 2015, entered the Shanghai market earlier this year and offers a “free-floating” service that allows users to drop off a shared car at their destination instead of returning it to the point of departure. It provides car sharing services in Beijing, Shanghai, Guangzhou, Shenzhen and Chengdu.